The recent welcome rain in parts of the country got us thinking about – you guessed it – water! More specifically, water charging as it relates to your investment property. For a topic that seems relatively straightforward on face value, it has been the cause of a disproportionate amount of issues and disputes for investors. The first thing to note is that we are in Australia. This of course means that each different state has its’ own rules and regulations around water charging. At PMC we have offices in Queensland (Brisbane and Toowoomba) and New South Wales (Sydney and Newcastle). For this article we will focus on the sunshine state; we will provide a follow up article looking at NSW. The property owner must pay all fixed charges. The tenant cannot be charged more than the billable amount. Points one and three are fairly self-explanatory. 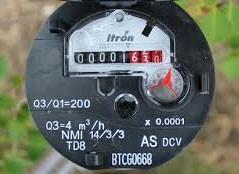 A note here though for apartment owners; each individual unit in a complex has to have its own meter in order to pass on water charges. In terms of guidelines for what constitutes a water efficient property, the requirements are also relatively simple and straightforward. For internal cold water taps and single mixer taps (excluding bathtub taps and taps for appliances – which are not required to meet efficiency standards) – a maximum flow rate of 9 litres per minute. Showerheads must not exceed maximum flow rate of 9 litres per minute. In terms of toilets you will require a dual flush function not exceeding 6.5 litres on full flush and 3.5 litres on half flush and a maximum average flush volume of 4 litres (based on the average of 1 full flush and 4 half flushes). In 2006 the government mandated the introduction of the Water Efficiency Labelling and Standard (WELS) scheme to help households save water. For your internal cold water taps, single mixer taps, and showerheads, a WELS 3 Star Rating will mean your fittings meet the required standard. For your toilets a WELS 4 Star Rating will see you covered. As an owner you should be able to prove the property is water efficient and best practice is to provide this evidence with the tenancy agreement. What is required to prove this efficiency is often the source of debate between owners and property managers. Many owners are or have been told by their property manager that they must have a certificate from a plumber. This is not true. Demonstrating the presence of water efficient devices can be done through plumbing reports or compliance certification, receipts, packaging, and/or warranties or instruction manuals for taps and showerheads. However, it may be an agency policy that in order to pass on water usage charges a compliance certificate from a plumber is required. It is unusual that an owner retains the above proof, and a compliance certificate provides unambiguous proof of water efficiency. The cost is minimal, usually less than $100, and is the best way to protect the owner from having their usage charges contested by the tenant. One of the biggest issues that arises from water charging for owners and property managers is enforcement. Owners can be caught in a difficult and frustrating scenario when payment of water invoices by their tenant are continually missed. Do you proceed to eviction on the basis of unpaid water – which may only total a few hundred dollars or less – when all other aspects of the tenancy are proceeding ok? Clearly explain the requirements and expectations of water usage charging at tenancy sign up. This includes advising the tenant that non payment of water invoices is treated in the same way, and can have the same consequences, as non-payment of rent. Provide the evidence of the properties water efficiency with the lease. Have the tenant verify the water meter reading on the front page of the entry condition report. Highlighting the importance of water usage charging and the process involved, as well as providing the appropriate information to the tenant, will assist in elevating the importance of this aspect in the ongoing tenancy relationship. The information above will have hopefully addressed your water questions, but just in case here is a list of some of the more common water myths that we hear or come across in our property management travels. Myth: You must have a water compliance certificate from a plumber in order to charge water. Fact: It is only required if you cannot provide evidence of compliance through the other options listed above in the article. However, it may be an agency policy that a compliance certificate is provided in order to provide the investor the greatest level of protection. Myth: The outdoor taps don’t have restrictors on them so I can’t charge for water. 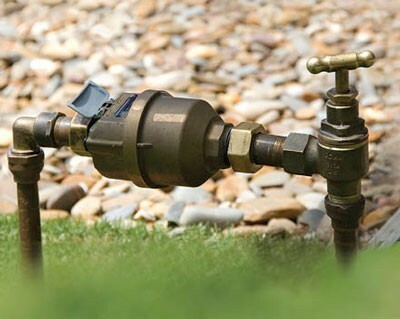 Fact: Outdoor taps are not required to meet water efficiency flow rate requirements. Myth: When I get my water bill as a landlord, I just pay the supplier the fixed charges. The tenant pays the usage direct to my supplier by the due date. Fact: The owner pays the entire amount of the invoice to their supplier (eg. Urban Utilities, Local Council). The property manager invoices the tenant directly for the usage component. Myth: My tenant is responsible for water so if there is a water leak they are responsible to fix it. Fact: The tenant is only liable for water usage, not maintaining the fittings or fixing water leaks in piping. This is still the owners’ responsibility. Myth: The tenant has to pay the water usage charges by the same due date that is shown on my water rates bill. Fact: The tenant has one month from the date of issue of the water invoice for usage issued by the property manager to make payment. It is important with all aspects of your investment property that you are maximising your possible returns. Cost recovery through water usage charging is an important aspect of this equation and as with most things property management related, knowing your rights and responsibilities is the best place to start! Property Investment is an excellent way to build wealth however all too often, investments are sold due to the frustration of poor management. At PMC Property Management, we understand the importance of our role and we strive to be different by maintaining and overseeing all aspects of your property and even more importantly, provide you with pro-active advice on ways to increase the rental and capital value of your investment properties.